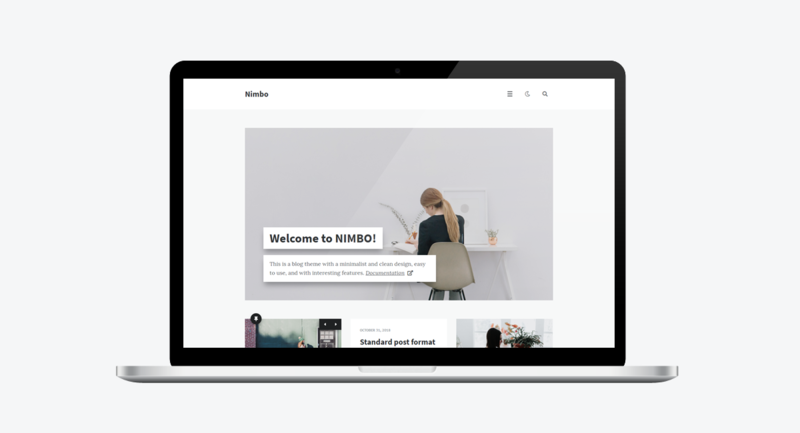 Nimbo is a blog theme with minimal and clean design, easy to use, and with interesting features. In addition, it is fully responsive and looks good on mobile devices. Live switching between two different styles: light and dark. Each visitor can choose one of the color schemes (light or dark), and the theme will remember the choice of each visitor to improve the usability of the site. In addition, you can change the default color scheme from light to dark. 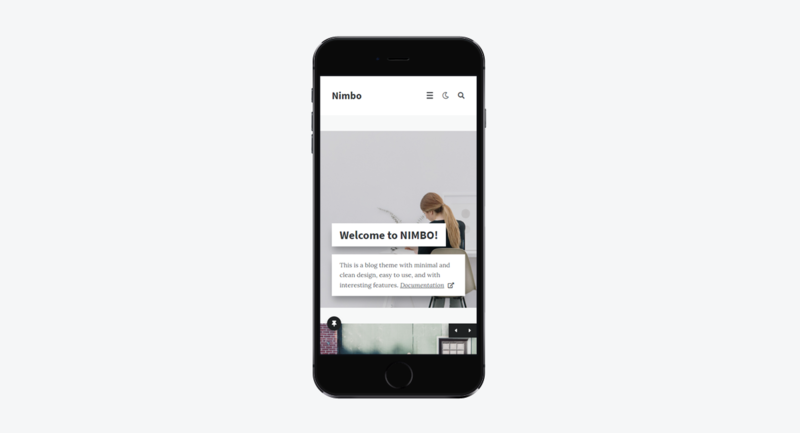 Nimbo displays a list of recent comments under each post on all archive pages, + you can easily configure this feature in the theme settings. Nimbo can show popup windows with images, video/audio players, and galleries. Bootstrap (v3.3.7) – Bootstrap is the most popular HTML, CSS, and JS framework for developing responsive, mobile first projects on the web. jQuery Superfish Menu Plugin from Joel Birch – Superfish is a jQuery plugin that adds usability enhancements to existing multi-level drop-down menus. imagesLoaded – Detect when images have been loaded. Development on imagesLoaded is sponsored by Metafizzy. Magnific Popup from Dmitry Semenov – Magnific Popup is a responsive lightbox and dialog script with focus on performance and providing best experience for user with any device. html5shiv.js from Alexander Farkas – The HTML5 Shiv enables use of HTML5 sectioning elements in legacy Internet Explorer and provides basic HTML5 styling for Internet Explorer 6-9, Safari 4.x (and iPhone 3.x), and Firefox 3.x. Respond.js from Scott Jehl – A fast & lightweight polyfill for min/max-width CSS3 Media Queries (for IE 6-8, and more). Font Awesome 5 Free – Get vector icons and social logos on your website with the web’s most popular icon set and toolkit. 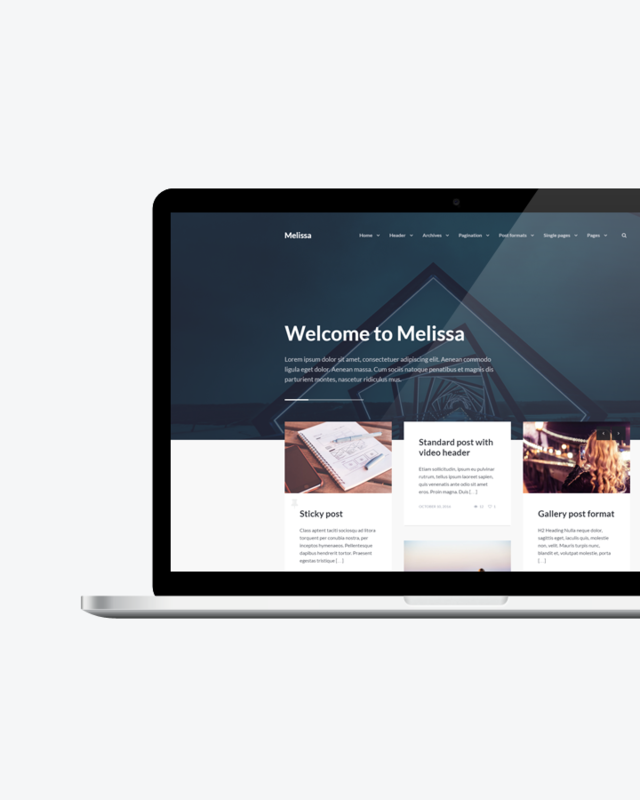 WordPress Meta Box Plugin – Meta Box is a powerful, professional, and lightweight toolkit for developers to create unlimited custom meta boxes and WordPress custom fields. TGM Plugin Activation – TGM Plugin Activation is a PHP library that allows you to easily require or recommend plugins for your WordPress themes (and plugins). Post Like System from Jon Masterson – A simple and efficient post like system for WordPress. Blank WordPress Pot from Fx Bénard – Blank WordPress Pot allows developers to have a great starting point for their translations’ pot files and translators an explanation how to use the file. Google Fonts – Lora, Source Sans Pro, Playfair Display, and PT Sans.